For Original Viper Mech MOD Only Colorways, CLICK HERE. Now available with a matching Viper Cap and Carnage RDA Deck! The Viper Mech Mod from Purge Mods is the high-class and ultra-sleek masterpiece that is as gorgeous as it is powerful. Sporting a uniquely ridged pattern with countless circular grooves cut into the mech mod's brass chassis, creating an arrangement similar to snake scales hence its namesake. Follows the same prestigious standards of construction and performance we've come to expect from Purge Mods, the Viper's powerful and beefy firing switch provides plenty of vapor-driving voltage and the meticulous construction ensures electrons aren't needlessly scattered, reducing the power sent to your atomizer. 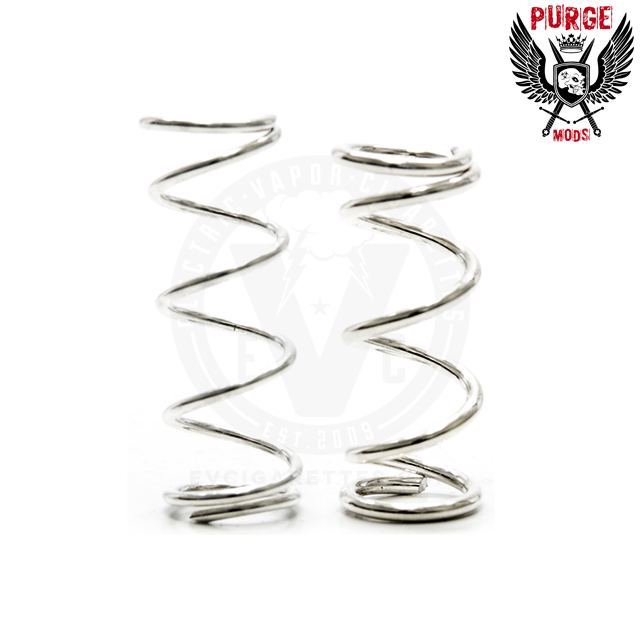 The Carnage RDA's legendary deck allows you to pick up one of the many top caps made by Purge Mods in case you want to change up the Viper look!